What do you call a recipe that’s easy to prepare, stuffed with tons of veggies, and is so delicious your family will ask for it to be in the regular rotation? 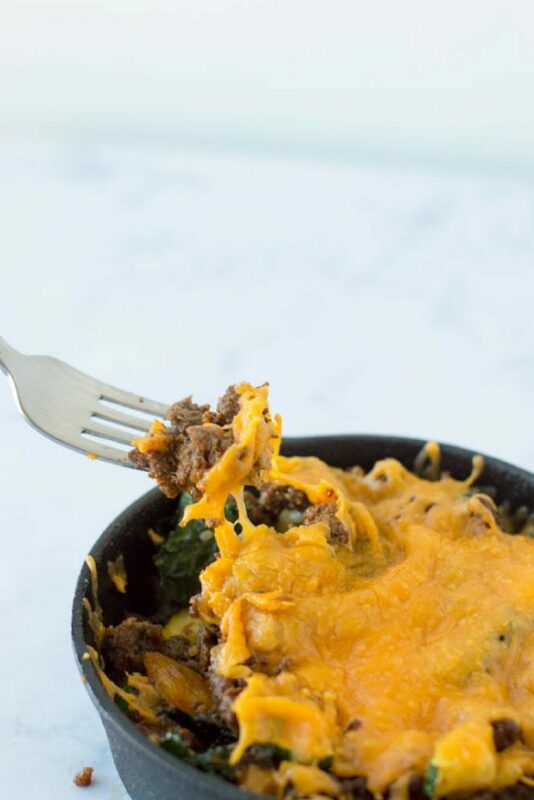 Cheesy Taco Skillet! 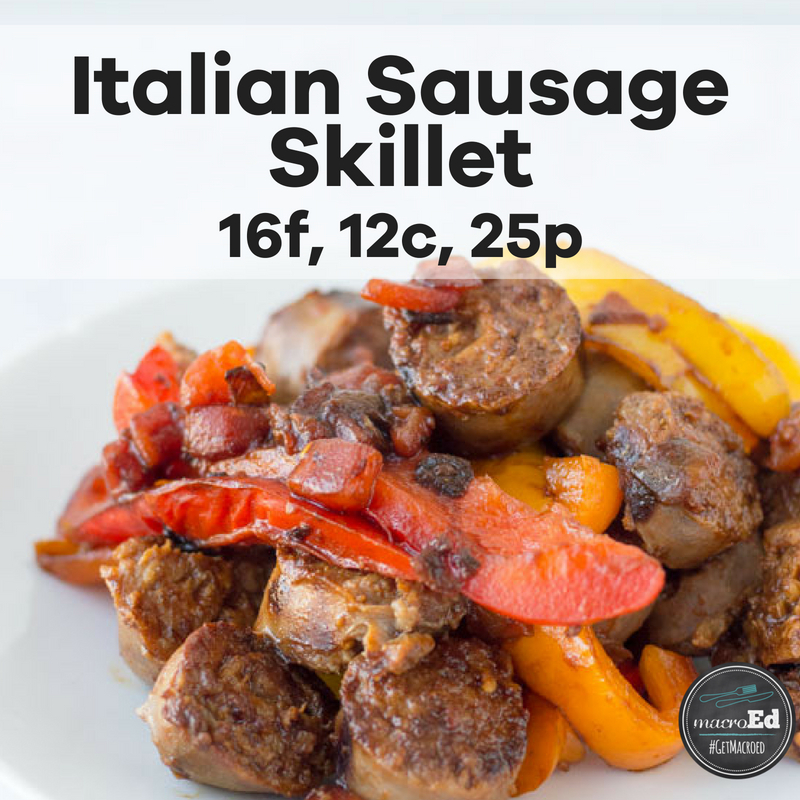 This one is a crowd pleaser, amazing for meal prep because it actually gets better the next day, and super simple. You’re going to love it! Add tomatoes and taco seasoning. Add kale, and let fully wilt. Mix well, and add additional cumin if desired - come on, be bold! Cover with cheese, and let cheese melt. 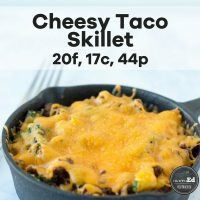 Vegetarian: If you're looking for a great way to make your veggies into a delicious, Mexican, cheesy dish, this will be perfect without the beef. Gluten Free: You should be safe with this one, just mind your taco seasoning or make your own. 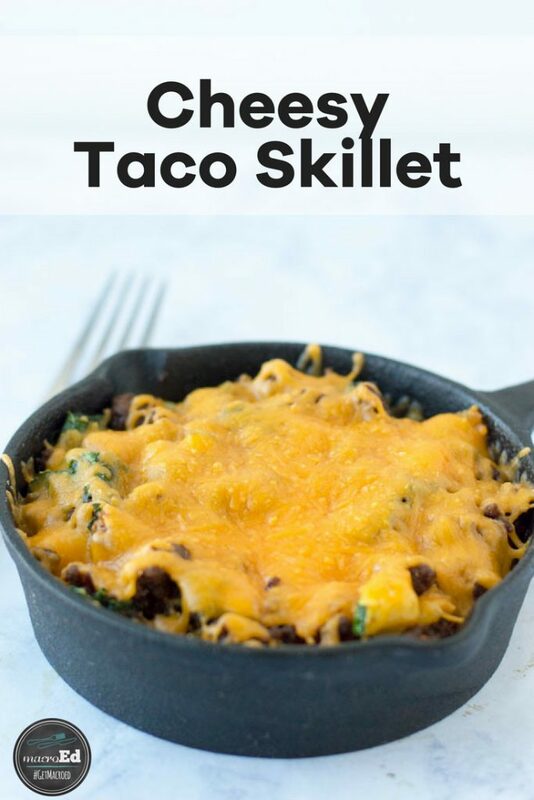 Dairy Free: It'll be a "Taco Skillet" but yes! 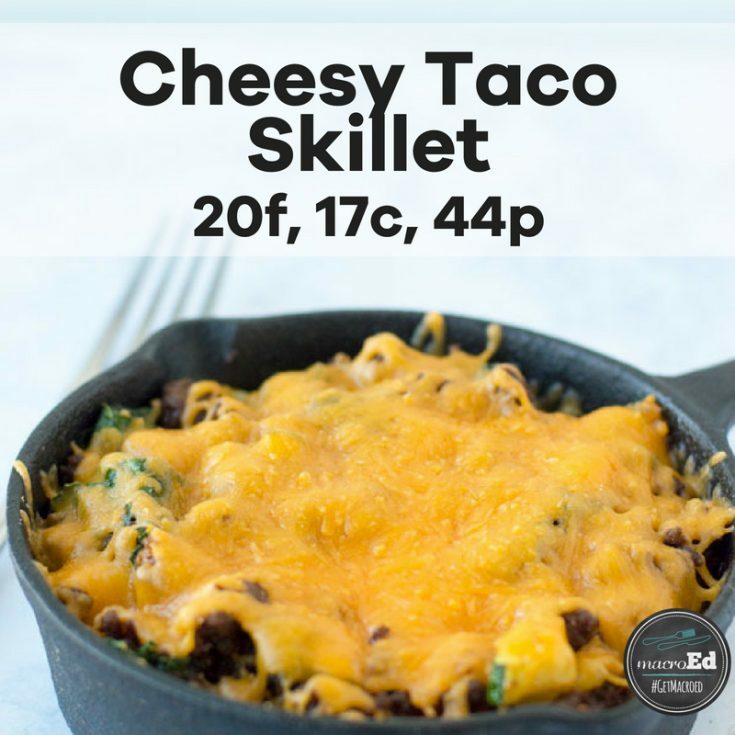 Skip the cheese or sub for a non-dairy version.